Bottom three eggs are onion dyed with their shells on. It’s Easter, time for eggs in all their forms, chocolate amongst them. On Sunday I’m hosting an underground brunch with Easter Egg hunt. I’ve been playing about with eggs, that pagan symbol for spring, dying them different ways. Michel Roux’s book ‘Eggs’ is a great resource. 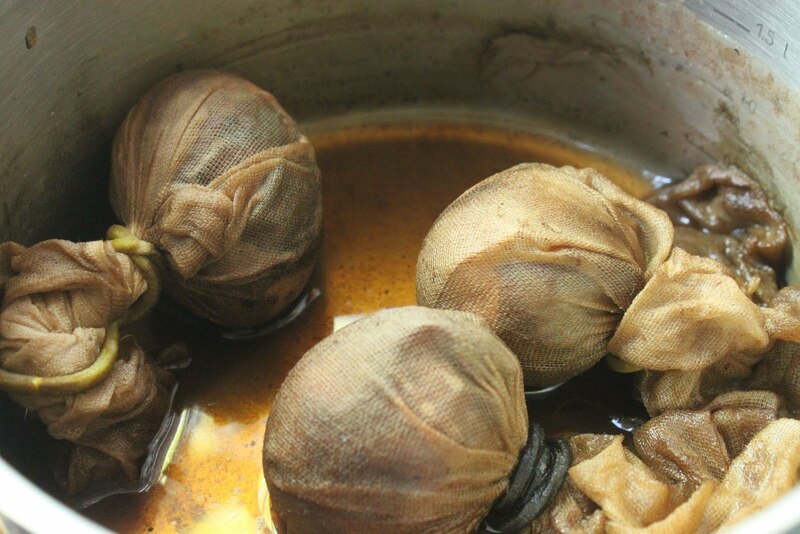 In China tea eggs are a popular street snack: you boil eggs, then lightly crack the shells and simmer them in tea with a little salt for an hour. 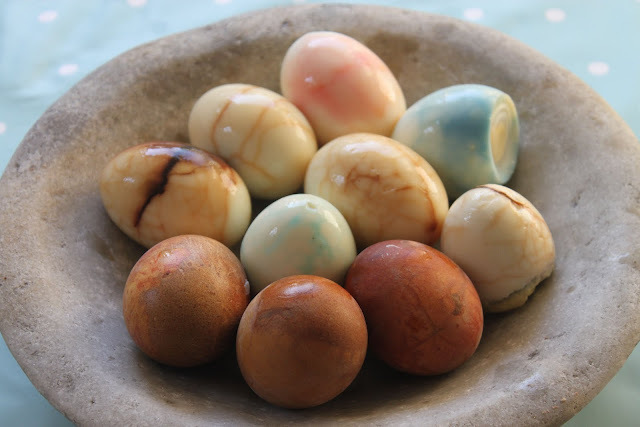 Once the shells are off, the white eggs have a tinted tea marbled surface. You can also do this with food colouring, soy sauce or orange juice to obtain different colours. I also dyed eggs with soaked onion skins which stains the shells; in Russia they do this with herbs. Here is a link to the method. 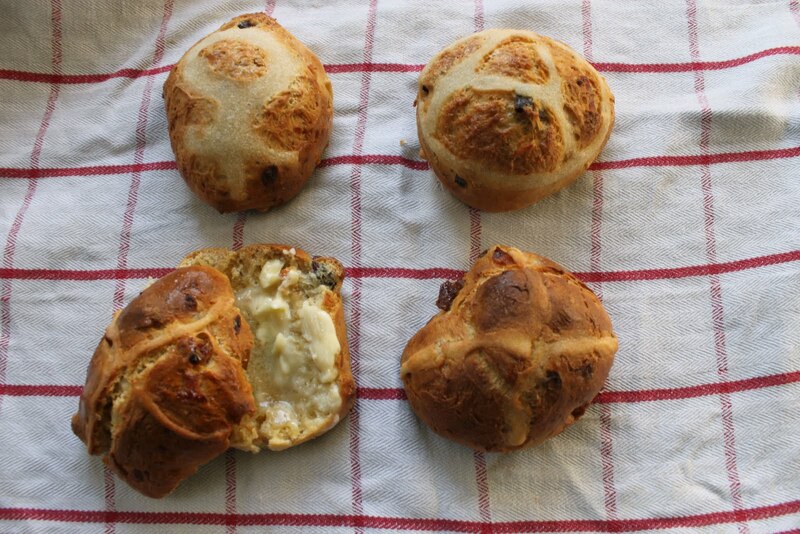 I made hot cross buns from Gin and Crumpets recipe, except I substituted mixed peel and dried fruit for raisins. Another tweak to her recipe: I piped on the crosses rather than spooned them. Leave the cross dough to set for a while, it will give a stronger line. I also thought ‘why stick to crosses?’ and did some with symbols for Anarchy, Venus and the peace sign. 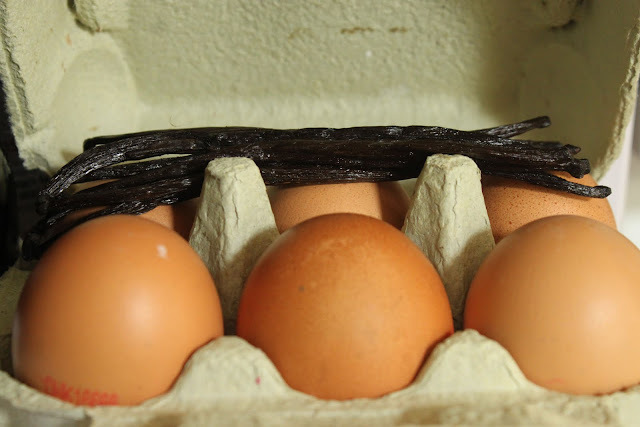 I’m storing eggs with vanilla for Sunday, which will penetrate through the shells just as truffles do. The vanilla eggs sound delicious, but I can't say I think the buns are in particularly good taste. Totally disagree with Priscilla. I think the buns are in fabulously good taste, and they taste fabulously good! i hope all goes well with the underground tea party! We've decided to have a wedding party…but only because we love partying! today we did early easter with lamb and our own asparagus and banoffee and simnel for afters….can hardly move!! But surely it's not about whether the buns are in good taste but whether they taste good?! I rather liked them in any case. 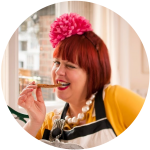 Wouldn't mind a family friendly event sometime soon Ms M, especially if you're planning daytime stuff in the garden now the sun is shining? Sunday's event is open to all ages! I couldn't justify 2×25 for a 7yr old & a 4 yr old – sorry. That's not to say it's not worth it – I'm sure it is! I'll book a sitter and come one evening instead. You are absolutely right, how remiss of me not to think of that. Under 5s are free. 6- 12 a pound for every year?….